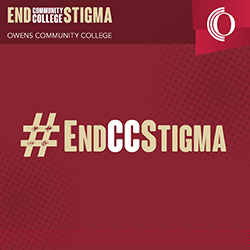 The Owens Community College Alumni Association engages alumni and students in programs, events and services that energize interest, build loyalty and strengthen support of Owens Community College. It’s only $20 per year to become an Alumni Association member. Membership benefits include discounted event tickets, free gym use, and more! View more benefits of joining! Fill out the Online Application! The deadline to register is Friday, April 19, 2019. Honoring first responders who serve above and beyond the call of duty. The Alumni Association office is located in Administration Hall Room 220, in the President’s Office Suite. Find the Alumni Association on social media.